Our final concert of the year, our Christmas concert, is fast approaching. 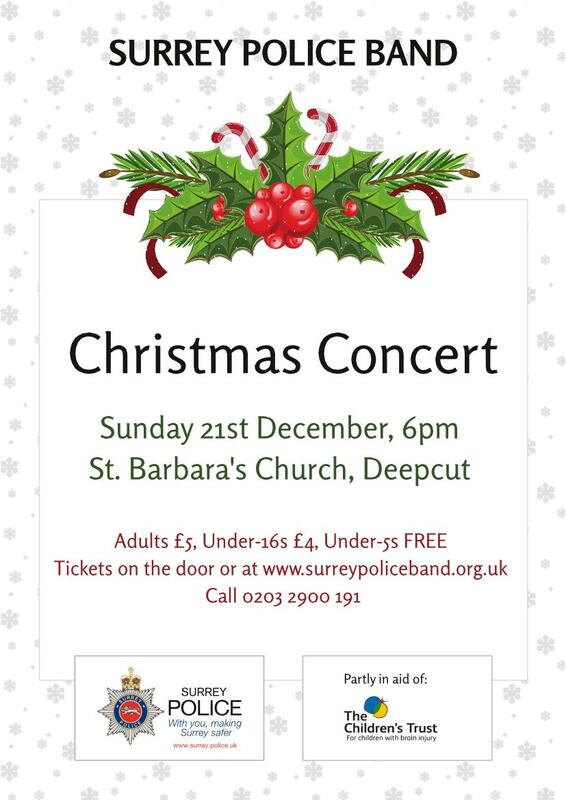 Only a few weeks now until we make you feel all warm and Christmassy once again at our usual venue of St Barbara’s Church, Deepcut on Sunday 21st December. We will be armed with tinsel, mulled wine and an array of fabulous Christmas tunes for your enjoyment. Most wonderfully, we will be raising money for the Children’s Trust, a local charity who raise money and provide vital support for children with brain injury. You can read more about their work on our charity page. So please, get your tickets now. Our Christmas concert is always our most popular, so click here to purchase your tickets early and avoid disappointment!